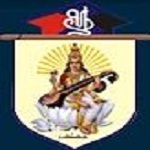 Saraswathi Vidya Bhavan’s (SVB) College of Pharmacy, Thane was established in the year 1993. The institution is recognized by All India Council for Technical Education (AICTE), New Delhi and affiliated to University of Mumbai. It offered courses in Diploma, Undergraduate and Postgraduate degree levels. The institution is ISO 9001:2000 certified and NAAC accredited institution. The institution is situated in the semi-urban areas on the outskirts of the Mumbai. It is located in Kalyan Shil Road, Dombivli (East) and Dist. Thane. The campus is sprawled over 5 acres of land. The campus city of the institution is well-connected to various cities of the state by road route. It has modern amenities in its campus and faculties enriched with talent and experience. The Institution has well-maintained computer lab in college. It has state-of-art infra-structural facilities such as spacious buildings, seminar hall, workshop, laboratories, organized library facilities, students’ hostels for boys and girls, sports ground with all materials, etc. The institution’s academic block is equipped with classrooms, tutorial rooms with all modern teaching aids and many other facilities. The College takes keen interest in placement of fresh graduates in various industries by arranging campus interview every year during the months of April to July. A Placement brochure is released periodically to enhance the placement opportunities to the students. Reputed companies visited the campus and select the deserving students for placement and pre-placement.